ROMAN REPUBLIC. P. MAENIUS ANTIATICUS, 132 BC. 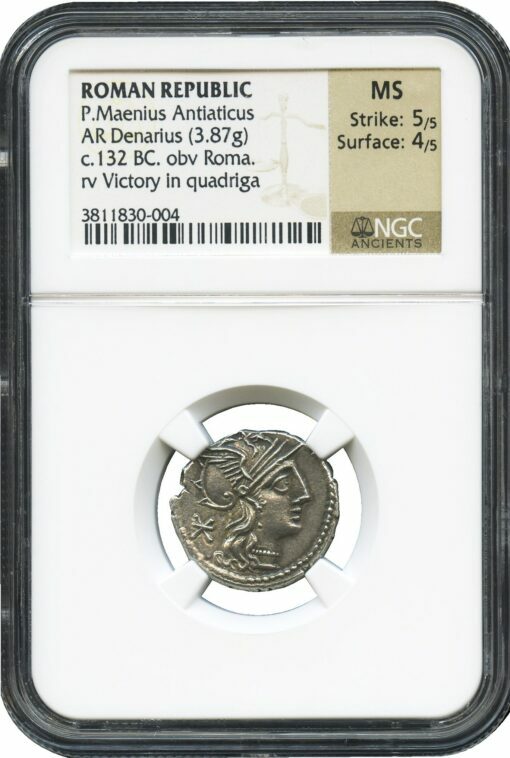 Silver AR Denarius, 3.87 g., 20 mm. Obv. Helmeted head of Roma right, denomination mark in left field. Rev. P MAE ANT, Victory in quadriga right, ROMA in exergue.